I want to find the row a1 has that a2 doesn't. Is there a built in function for this type of operation? 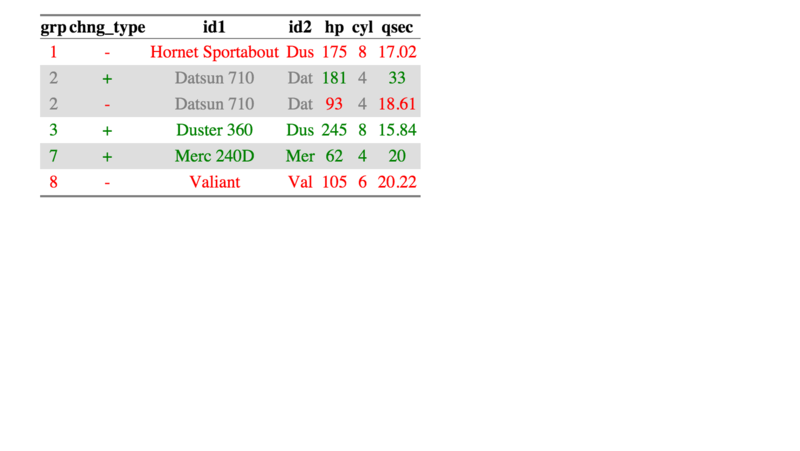 Basically, setdiff(bigFrame, smallFrame) gets you the extra records in the first table. Or even anti_join(a1,a2) will get you the same results. missing values in included_a1 will note which rows are missing in a1. similarly for a2. One problem with your solution is that the column orders must match. 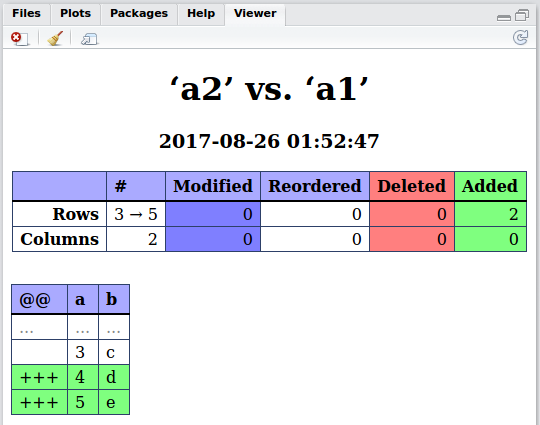 Another problem is that it is easy to imagine situations where the rows are coded as the same when in fact are different. The advantage of using merge is that you get for free all error checking that is necessary for a good solution. I wrote a package (https://github.com/alexsanjoseph/compareDF) since I had the same issue. The diff format is described in Coopy highlighter diff format for tables and should be pretty self-explanatory. The lines with +++ in the first column @@ are the ones which are new in a1 and not present in a2. I adapted the merge function to get this functionality. On larger dataframes it uses less memory than the full merge solution. And I can play with the names of the key columns. Another solution is to use the library prob. ## Do these together for consistency in as.character. ## Use same set of names. Your example data does not have any duplicates, but your solution handle them automatically. This means that potentially some of the answers won't match to results of your function in case of duplicates. Here is my solution which address duplicates the same way as yours. It also scales great! Maybe it is too simplistic, but I used this solution and I find it very useful when I have a primary key that I can use to compare data sets. Hope it can help. Not the answer you're looking for? Browse other questions tagged r merge compare rows dataframe or ask your own question. How can I filter out coordinates (lat, lon) in a data.table? 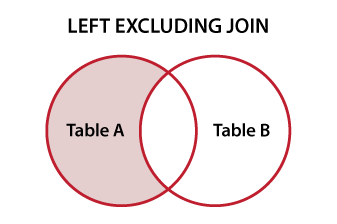 How to merge two datasets by the different values in R? How do you merge two Git repositories?